U.N. nuclear agency Chief Yukiya Amano is expected to visit Tehran on Nov. 11, Iranian state television said on Tuesday. The report comes as a possible sign of progress in the long-stalled investigation into suspected nuclear arms development by the country. The head of Iran’s atomic energy organization, Ali Akbar Salehi, said he hoped the two sides would reach an agreement during Amano's visit, state television said on its web site, without giving details, Reuters reported. Since early 2012, the International Atomic Energy Agency and Iran have held a series of fruitless meetings to agree ground rules for the IAEA inquiry investigation. Iran says its nuclear program is geared solely towards civilian atomic energy and denies seeking nuclear weapons. 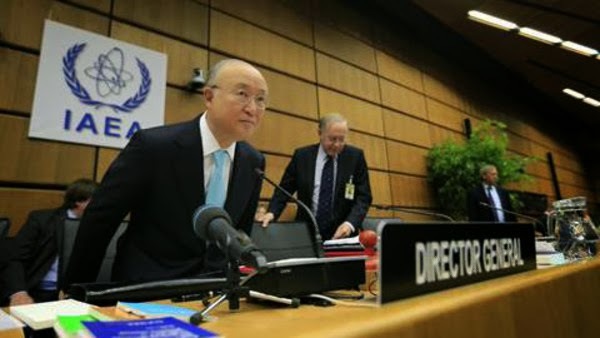 After talks last week between senior IAEA and Iranian officials in Vienna, described by both sides as “very productive,” a new round was set for Nov. 11 in Tehran, but without any word on Amano possibly taking part. According to Iranian state television, Salehi hopes “to reach an agreement with the director of the InternationalAtomic Energy Agency and issue a joint statement,” the website of state broadcaster IRIB quoted him as saying, according to Agence France-Presse.